First off, and perhaps most importantly, Oblivion is pretty, very pretty, like Masamune Shirow and Syd Mead had beautiful brain babies. While the experience of Oblivion is worthwhile in the whole, without the stunning visuals and strong performances by Cruise and Riseborough, the center may not have held. The film opens with an unnecessary and ham-fisted voiceover reminiscent of the similarly ill-advised Harrison Ford narration from Blade Runner, followed by a dream/flashback that is revisited throughout the film until the audience collectively yells “Okay, we get it!”. Through this exposition we learn that earth has been devastated after an alien invasion, fending off the “Scavengers” only to abandon our planet in hopes of terraforming and colonizing a moon of Jupiter, leaving behind giant machines that convert our oceans into fusion energy for the new colony (just go with it). The world of Oblivion is a gripping sensory experience and the developing sense of mystery and dread is undermined by editing and pacing that at turns takes pains to spoon feed things that are patently clear, while ignoring entirely several meaningful gaps in plot logic. While Epic in its ultimate scale Oblivion has a diminutive cast. The breezy first half has a population of two. Tom Cruise plays Jack, a technician tasked with maintaining the fleet of security drones that protect the giant energy machines from attacks by the few remaining “scav” aliens trapped on earth. Cruise is at his cruise-ist, grinning and glowering and wearing earnest intensity like the well-worn glove it is. Andrea Riseborough is excellent as Victoria, Jack’s partner, lover, and foil meeting him beat for beat with a wary and wide eyed brand of quiet desperation. Their chemistry is so good that when Jack’s maybe-or-maybe-not-once-and-future-lover arrives, played with subdued competence by Olga Kurylenko, neither the script, nor Kurylenko can move the character beyond the role of plot device. Indeed the only thing that keeps Morgan Freeman’s character from feeling similarly two dimensional is of course, Morgan Freeman. The story of Oblivion is derivative (what isn’t? ), writer Joseph Kosinski says the film is an homage to Sci-fi movies of the 1970s, and it has a strong bouquet of Omega Man with notes of Logan’s Run and 2001: A Space Odyssey. That being said it delivers classic tropes in a way that is imaginative and not-entirely predictable. The only catch is that due to its pedigree Oblivion asks many of the classic sci-fi questions about the nature of humanity and humanity’s relationship with technology, but it ponders none of them, instead yelling them out the window of a car driving by at 80mph. An ambitious and reasonably executed sci-fi/fantasy, it earns itself a gray area in between distracting plot-holes and “I wonder what about this world explains that” and while the holes are myriad and gaping, they didn’t bother me until after the credits rolled giving this film a precarious passing grade in that regard. 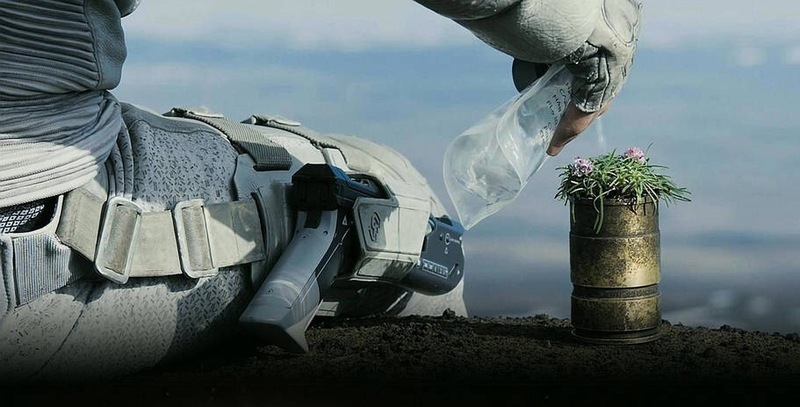 On the whole, Oblivion is a slick package offering compelling visual effects with a reigned in reliance on CGI, an intriguing and new science-fiction world, a serviceable plot, and a pitch-perfect score by French synth outfit M83. It is a credit to the idea that assembling existing concepts into something entirely new will reliably produce material that is a cut above the results of Hollywood’s current trend of rebooting and sequaling every license in sight. 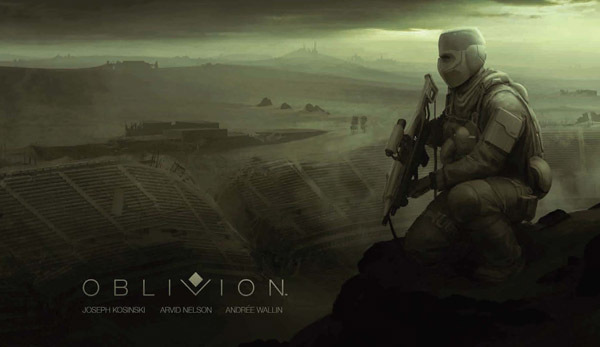 In that vein I hope not to see a sequel to Oblivion, it’s rare these days to spend a few hours watching a blockbuster scale sci-fi action flick and not feel like I’m watching the prologue to what someone is hoping will be the next big franchise. Oblivion offers all that it has to offer which is admirable if uneven, and well worth a viewing. 2 Responses to "Review of “Oblivion”"
Looks like you beat me, both in time and style. Big change since I last came by. Inspiring. Keep it up! God bless! I’m glad you liked it. I’m not quite done with it yet so thanks for the motivator.